Learn how to make a summer solstice mala to inspire your creative fire and help you complete tasks! The summer solstice occurs in late June and is the longest day of the year. It’s an opportunity to celebrate the extra time of daylight, but also a reminder of our own great potential and a nudge to bring it forth into our life. 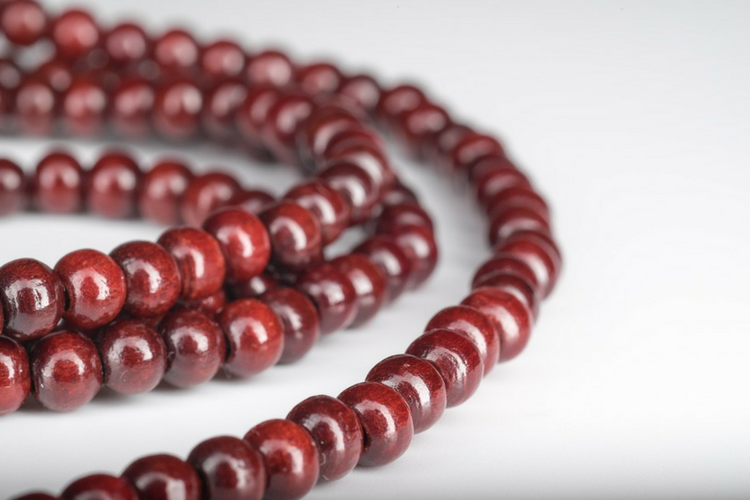 The Summer Solstice mala is made of rosewood beads with red copper plated iron spacer beads. The semi precious stones have been chosen specifically to reflect and imbue the qualities and symbolism associated with the summer solstice. Ambronite, citrine and carnelian represent the colours of fire and warmth of the sun. They remind us to connect with our passion and creativity. They also help spark up the fire within to give us the get up and go we need to bring new ideas to fruition. The turquoise beads represent water. On the Wheel of Britannia (or Wheel of Ana), water is the sacred element associated with the summer solstice and the direction of south. Water reminds us of the fluidity of life. That things change and evolve and that this is ok and a part of natural cycles. When we embrace change rather than resist it so we are better able to live our lives creatively – weaving and creating the life we wish to lead to bring it into reality. Wear this over the summer solstice and longer days of the year to allow these energise these traits above and see where your creative fire takes you! 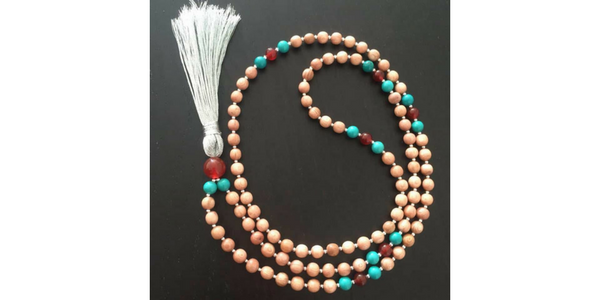 Rosalind is not only one of our fabulous Yoga teachers here at AY and specialises in Forrest Yoga, she also makes these beautiful Mala necklaces. 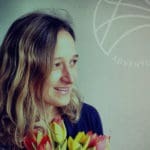 She makes the mala beads custom and bespoke designed, using a variety of wooden beads, lava stone and semi precious stones. 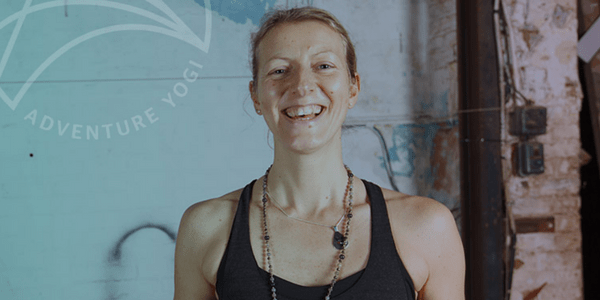 View Rosalind’s upcoming AdventureYogi retreats here.